When it comes to Doctor Who they always say your favourite Doctor is the one you grew up with. For me it was Tom Baker, he was the first actor I saw play the Gallifreyan time traveller and curiously enough, he was also my first Holmes. 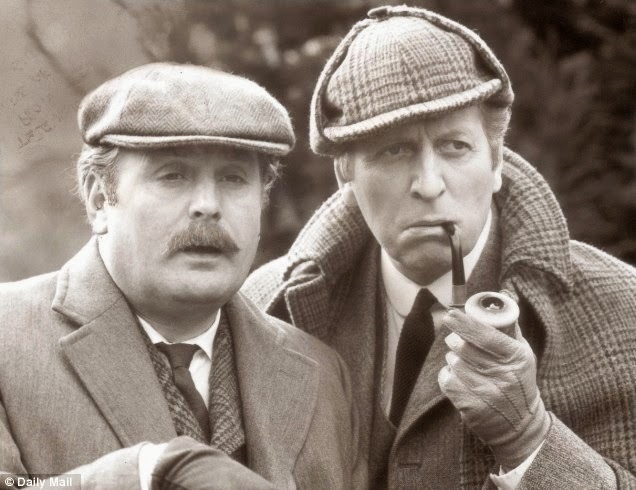 He took on the role of the great detective in the 1982 BBC adaptation of The Hound of the Baskervilles, working alongside Terence Rigby's Doctor Watson. 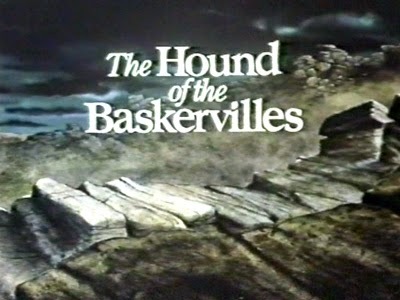 Okay, the production isn't held in the best regard in fandom these days (not to mention Tom himself, who later admitted the part came to him too soon after leaving Doctor Who) but it will always be one of my earliest introductions to Sherlock Holmes and it brings nothing but happy memories whenever I watch it (and the title music still sends chills down my spine after all these years). Hopefully I'll be able to own it on DVD one day (sadly it's only available in Region 4 at the moment). In the meantime I'll just have to make do with the version that's up on youtube.